This page shows the latest Eloxatin news and features for those working in and with pharma, biotech and healthcare. cancer stalwart Eloxatin (oxaliplatinl) was down more than 80 per cent to 68m. has progressed after previous treatment with a regimen including oxaliplatin (marketed by Sanofi as Eloxatin). 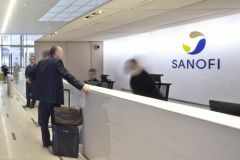 S-A is seeking acquisitions to help offset sales lost from the launch of generic versions of Eloxatin (oxaliplatin) and Plavix (clopidogrel).